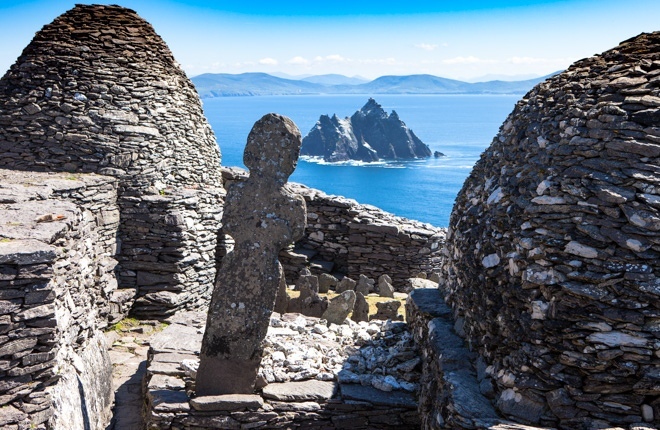 Skellig Michael and the Skellig Islands are 8 miles (12 km) off the coast from Portmagee Kerry. 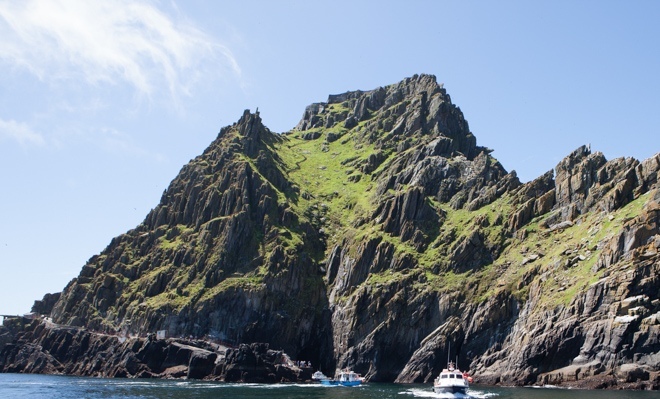 Rising majestically from the sea, Skellig Michael, now famous from the recent Star Wars films, climbs 700ft above sea level. At the top, you will find a well preserved sixth-century monastic settlement. From Skellig Michael the larger of the two Islands, you have great views of the coast of Kerry, Little Skelligs which also has a huge Bird population on the Island. From May until early August you have the Spectacular Puffins on both Islands along with many other types of Birds. On a lucky day, you can also see Dolphins and Whales from the Island and from the Boat. 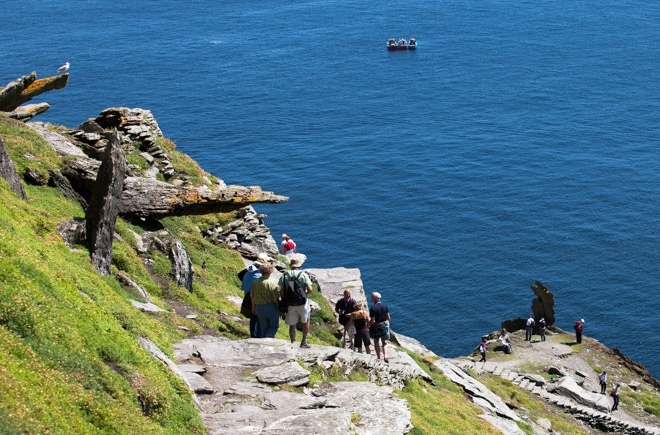 Heading back to the Boat great care must be adhered to on Skellig Michael that said ita a great trip not to be missed. 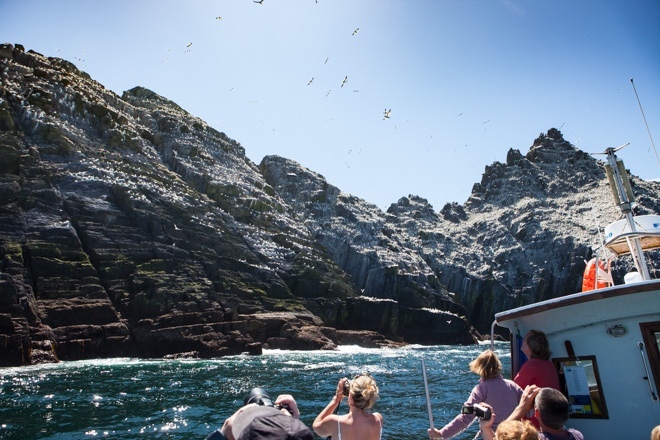 Boat trips include a trip around Little Skelligs there is a large Gannet population and Seal Colony. Generally, the temperature on Skelligs is similar to the Mainland but you must allow for wind chill when the boat is moving and may produce some spray, also on the island wind chill may be an issue other than that have a great day its a trip not to be missed in Ireland. Boat trips are also available around the Islands for those who dislike heights or the strenuous climb to the summit. The Butler Arms in Waterville and the Fisherman's Bar this is where the Star Wars crew stayed.